SAV is dedicated to not only finding and vetting the smartest and the best technologies out there, but technologies that almost seem invisible. Here is a great example of performance, aesthetics, and life safety. Challenge: Our client has floor to ceiling doors that would hit anything protruding from the ceiling and they preferred having smoke and carbon monoxide detectors that wouldn't be eye sores. Solution: The Bosch FCP-500 detector. 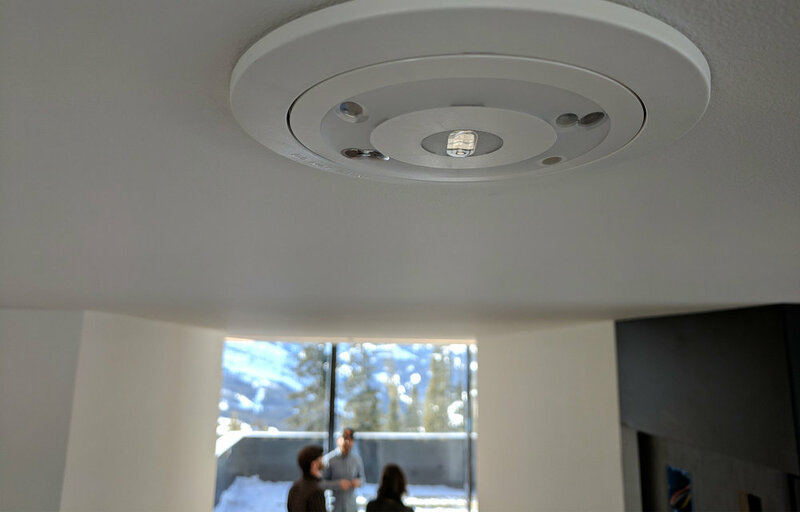 Equipped with two optical sensors and a contamination sensor, they're modern, ultra-low profile, and ideal for high-end installations. These versatile detectors deliver advanced technology that practically eliminates unwanted or false alarms while their sleek flush-mounted styling means that they blend easily with any interior décor.